Enjoy spectacular sunrises from this oceanfront efficiency located in the Palmetto Tower. 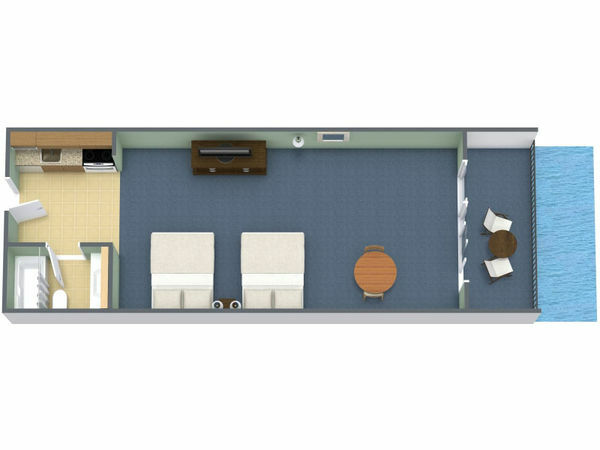 These units feature two queen beds, an HD flat screen TV, a full bath, an in-room safe, a kitchen with a compact refrigerator, stove, basic cookware, utensils and microwave. Enjoy relaxing evenings on your oceanfront balcony. Located just steps away from the ocean and all of the amenities that The Breakers Resort has to offer, these value-priced rooms are great for that special getaway.